These amazingly cool vinyl stickers were made and donated by Heavenly Memories Scrapbooking and Willapa Printing! 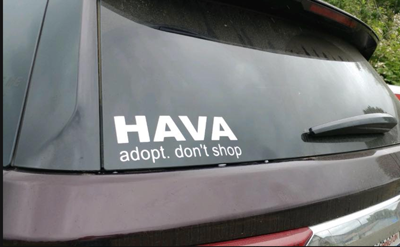 That means 100% of the proceeds goes to HAVA to help cover the ever increasing costs for spays, neuters and shelter expenses! If you want one complete the below form.